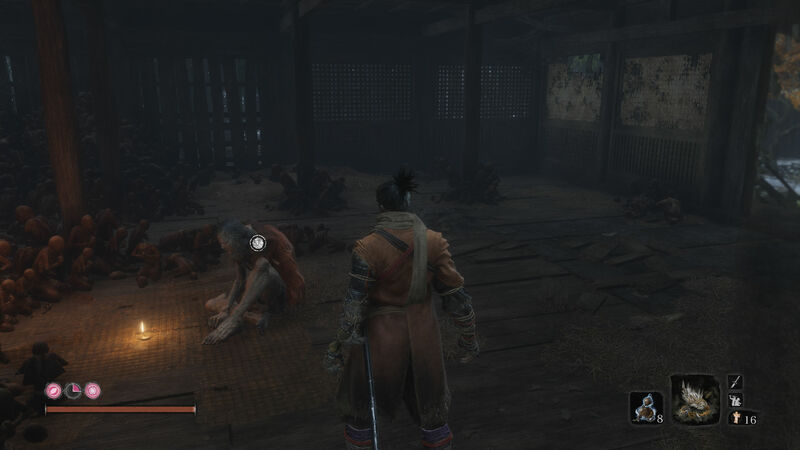 What are Sekiro shinobi tools and where can you find them? Sekiro: Shadows Die Twice asks you to use your trusty katana to cut down the hordes of terrifying enemies you come across, but it’s not the only bit of kit at your disposal. You don’t have access to a huge array of weapons across various melee archetypes as you normally would in a FromSoftware or Soulsborne game. This will feel a little bit odd for veterans who have been playing since Demon’s Souls, but it turns out that in Sekiro, your recently severed arm can be fitted with all sorts of devastating prosthetic attachments known as shinobi tools. Combat in Sekiro: Shadows Die Twice is tough, but you can enforce your own style of play by using the different shinobi tools. These are special weapons you attach to your prosthetic arm in order to give you an edge in certain situation or against key enemies. You can have three equipped at any one time and can switch between these three at will mid-battle. You will probably end up with your favourites, but they all serve a purpose. While all of them can be upgraded, they aren’t all easy to find in the first place. To help stave off some of that classic Soulsborne frustration we’ve listed all of the shinobi tools we’ve tracked down so far, not to mention what purpose they serve in combat. Location: you get it for beating Gyoubu. Good for: upgrading your Sekiro shinobi tools. Location: next to the Outskirts Wall – Gate Path Idol. Just grapple into the corridor in front of you and it is on your left. Good for: annoying enemies from afar or trying to whittle down the last bit of posture or health in a tricky fight. Location: also near the Outskirts Wall – Gate Path Idol. After the fight with the General miniboss jump up onto the wall. If you look to your left there will be a flat platform you can get to from the partially-destroyed house below. The merchant here sells the Robert’s Firecrackers shinobi tool. Good for: scaring certain enemies like the Chained Ogre, Blazing Bull, and nearly everything else that crawls or resembles a beast. Location: while in the Hirata Estate memory, just up from the Estate Path Idol, you’ll end up grappling onto a tree to get over a wall. There are a bunch of enemies in this area including some around a bonfire. The Flame Vent shinobi tool is, naturally, in the bonfire. Good for: setting enemies and objects on fire. For example, if you throw a bottle of oil at an enemy it will instantly ignite dealing damage to them and leaving them open for a few quick hits. Location: just after the bonfire where you find the Flame Vent there’s a small, discreet path you can follow. Head down it and to your left you’ll spot two bandits in front of a small shack. Kill the bandits and open the shack for this shinobi tool. Good for: breaking shields. There’s no blocking an attack from this tool. Location: Go from the Bamboo Thicket Slope Idol to the bridge up the hill. Before going across it drop down to your right. Follow this path past the bamboo gate and jump up some walls. There is a purple ninja on top of a building and inside the building is this Mist Raven shinobi tool. Good for: evasion. Use this and the next time an enemy strikes you’ll move out of their way. If you don’t hold a direction key down then you will go straight up, so hold a direction to move that away. This is great for getting to an enemy’s back. Location: after grabbing a key from two guards on a bridge next to the Ashina Castle Idol, go to Ashina Reservoir. You can get there by going left from the same Idol and opening a door, then dropping down. You will recognise the area, there is a locked house that has this item inside. Good for: strong mid-range attacks. Location: behind the Palace, you will find the Old Grave Sculptor’s Idol. If you clear this area and look around you will notice a pagoda with an open top. 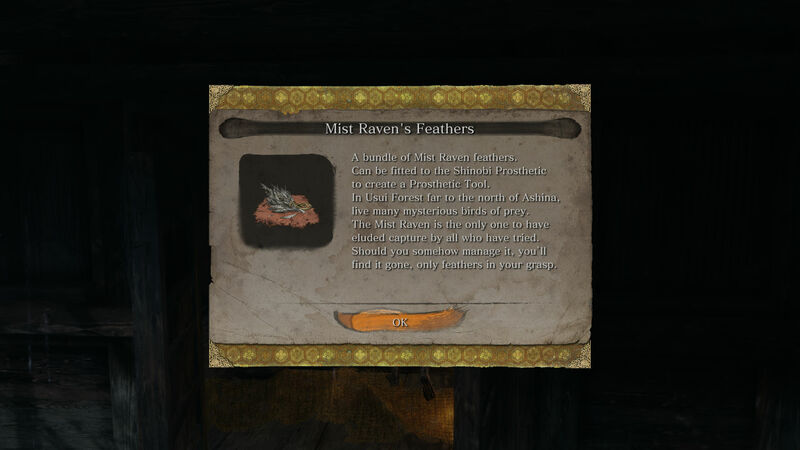 Go in here and buy the Iron Umbrella shinobi tool from the merchant. Good for: holding your ground. It makes deflections easier and will improve your defensive game. Good for: messing with smaller enemies. It spins them around and leaves them vulnerable to deadly backstabs. Location: from the Upper Tower – Antechamber Idol, go through into the room with the patrolling enemies. Drop down to the roof below you, and turn around. You’ll find the Sabimaru shinobi tool in a chest in the room ahead. Good for: this blade inflicts poison upon those it cuts. It also allows for some very fast attacks and is good for keeping the pressure on tough or evasive enemies. Location: kill the Guardian Ape from the Bodhisvatta Valley Idol in the Sunken Valley. Good for: distracting enemies and getting beasts to turn on one another. If you’re still on the fence about the game then check out our Sekiro review, and if you need more help useful locations guides, here’s where to find your first batch of Sekiro Treasure Carp scales. Try not to get too frustrated while tackling this FromSoft behemoth.